All the following Kingston DDR4 RAM Memory is guaranteed compatible with your Apple iMac Pro Retina 5K Late 2017 27-inch - 3.2GHz - 8 Core Desktop and carries our 100% money back guarantee with freepost returns. KingstonMemoryShop stocks the full Kingston range of recommended specifically tested RAM Memory upgrades for your Apple iMac Pro Retina 5K Late 2017 27-inch - 3.2GHz - 8 Core Desktop to keep your productivity levels as high as possible when using your Apple iMac Pro Retina 5K Late 2017 27-inch - 3.2GHz - 8 Core Desktop. Kingston have been designing and manufacturing high quality memory upgrades since 1987 which has over time brought unrivaled quality which means you will be installing DDR4 ECC Registered RAM upgrades of the highest quality into your Apple iMac Pro Retina 5K Late 2017 27-inch - 3.2GHz - 8 Core Desktop. Kingston engineers use only the highest quality components on the market to ensure maximum performance and legendary Kingston reliability when implementing into DDR4 ECC Registered upgrades. 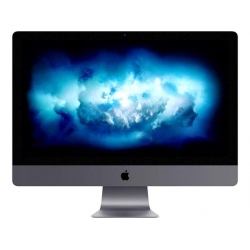 Designed with your specific system in mind and in this case your Apple iMac Pro Retina 5K Late 2017 27-inch - 3.2GHz - 8 Core Desktop, Kingston system-specific memory makes it easy to select exactly what you need, based on your OEM system brand and model. What type of Kingston RAM memory do i need for my Apple iMac Pro Retina 5K Late 2017 27-inch - 3.2GHz - 8 Core Desktop? 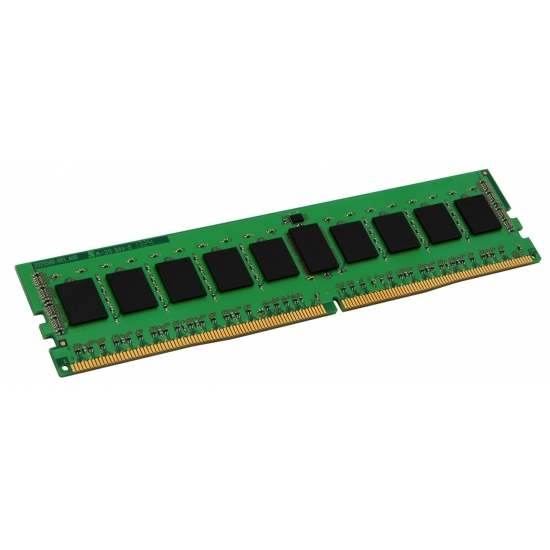 All the Kingston DIMM RAM memory modules that we list on this page for your Apple iMac Pro Retina 5K Late 2017 27-inch - 3.2GHz - 8 Core Desktop are compatible. Use the filters on the left side of the page to filter out your desired capacity and speed of DDR4 DIMM RAM memory modules for your Apple iMac Pro Retina 5K Late 2017 27-inch - 3.2GHz - 8 Core Desktop. How do i know what speed of Kingston DIMM RAM memory module i need for my Apple iMac Pro Retina 5K Late 2017 27-inch - 3.2GHz - 8 Core Desktop? All the Kingston DIMM RAM memory modules we list against your Apple iMac Pro Retina 5K Late 2017 27-inch - 3.2GHz - 8 Core Desktop are the recommended speed for your Apple iMac Pro Retina 5K Late 2017 27-inch - 3.2GHz - 8 Core Desktop. If you see any speeds listed on this page that are different from your factory installed DIMM RAM memory such as 2666MHz (PC4-21300) it is safe to install. Your Apple iMac Pro Retina 5K Late 2017 27-inch - 3.2GHz - 8 Core Desktop will simply clock down the RAM speed to its optimal and most efficient speed. What type of RAM memory does my Apple iMac Pro Retina 5K Late 2017 27-inch - 3.2GHz - 8 Core Desktop accept? What is the maximum capacity Kingston DIMM RAM memory my Apple iMac Pro Retina 5K Late 2017 27-inch - 3.2GHz - 8 Core Desktop can accept? Your Apple iMac Pro Retina 5K Late 2017 27-inch - 3.2GHz - 8 Core Desktop can accept Kingston DIMM ECC Registered RAM memory modules with capacities available of 8GB, 16GB and 32GB to give you an excellent boost in performance. What warranty do your offer on Kingston DIMM RAM memory upgrades for my Apple iMac Pro Retina 5K Late 2017 27-inch - 3.2GHz - 8 Core Desktop? All Kingston RAM memory for your Apple iMac Pro Retina 5K Late 2017 27-inch - 3.2GHz - 8 Core Desktop are supplied with a full Lifetime warranty for complete peace of mind for the user. How fast can you deliver a Kingston DIMM RAM memory upgrade for my Apple iMac Pro Retina 5K Late 2017 27-inch - 3.2GHz - 8 Core Desktop? KingstonMemoryShop offers a range of delivery methods on Kingston DIMM RAM memory upgrades for your Apple iMac Pro Retina 5K Late 2017 27-inch - 3.2GHz - 8 Core Desktop. Click here to see all our delivery options. Why buy a Kingston DIMM RAM memory upgrade for my Apple iMac Pro Retina 5K Late 2017 27-inch - 3.2GHz - 8 Core Desktop from KingstonMemoryShop? When purchasing direct from us KingstonMemoryShop offers a 100% no quibble moneyback guarantee on all Kingston RAM memory upgrade purchases for your Apple iMac Pro Retina 5K Late 2017 27-inch - 3.2GHz - 8 Core Desktop for complete peace of mind. Click here to see more on our returns policy regards our money back guarantee. Still not sure what Kingston DIMM RAM memory upgrade you need for your Apple iMac Pro Retina 5K Late 2017 27-inch - 3.2GHz - 8 Core Desktop?